I am a native New Yorker, raised in the upstate city of Watertown, where my paternal great grandparents ultimately settled in the early 20th century after coming to America from Sicily. While attending college at SUNY Plattsburgh, I began a career in radio broadcasting that has spanned more than 30 years in numerous cities around the country. 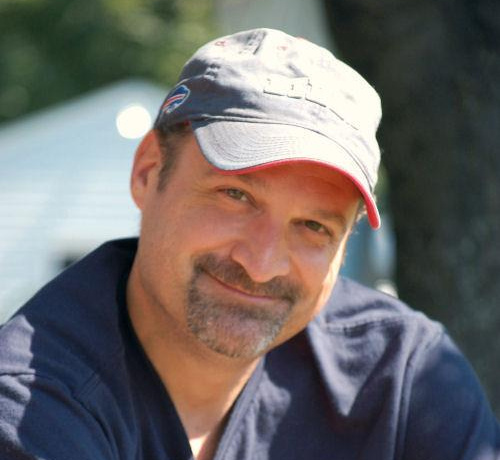 Since 2001, I have lived and worked in Buffalo, New York. When I'm not on the radio, I enjoy spending time with my wife and pets, traveling, cooking, reading, designing websites, following Yankees baseball, and of course, exploring my family history. This project has not only been a great connection to the past, but also a tremendous learning experience, both in terms of family and history in general. Along the way, I have have been fortunate to make the acquaintance of several fascinating people that have been kind enough to share their knowledge with me. Their insights have enriched all that is contained within these pages, for which I am extremely grateful. My goal is to make every story in this project as complete as possible with photos, remembrances, documents, keepsakes, etc. that will help preserve memories for future generations. Anything can help and would be greatly appreciated, no matter how small or trivial you may think it is.